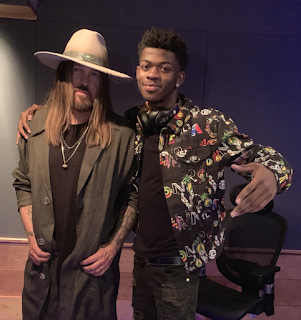 Next week Lil Nas X's surprise hit single 'Old Town Road' is expected to reach #1 on the Billboard Hot 100 after Billy Ray Cyrus jumped on the remix [click here if you missed that]. So how did Lil Nas go from popular Twitter personality to recording with 90s Country Music superstar Billy Ray Cyrus...? 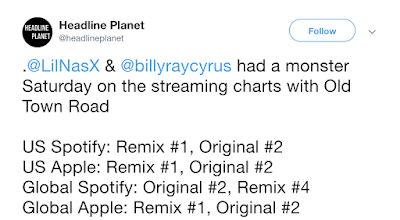 Back in December before his record deal, while 'Old Town Road' was going viral on the teen social app Tik Tok, Lil Nas X asked Twitter to help him get Billy Ray on the remix. 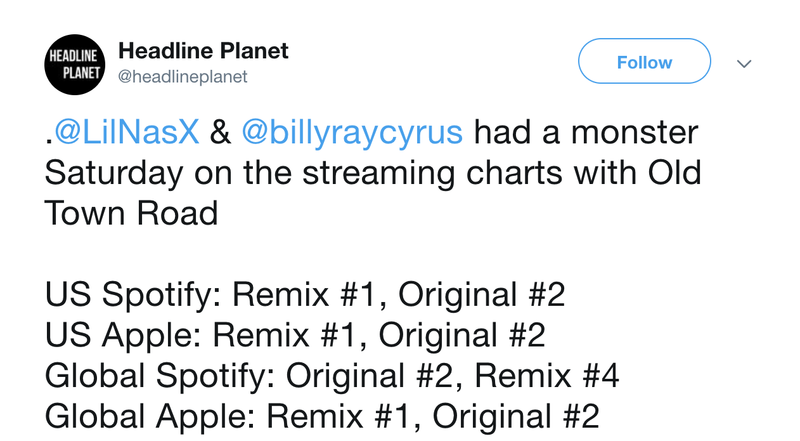 The movement caught Billy Ray's attention after Billboard removed Old Town Road from the Country Chart for "not having enough country music elements" after it was clear the song was headed to no.1 [click here if you missed that]. Fun Fact: Before getting signed to Columbia Records Lil Nas X promoted 'Old Town Road' strictly via memes on social media. Very smart guy. You just can't buy this kind of publicity. He really didn't need Billy Ray. I can't hate on the remix it sounds good too and if it take him to the top spot where he belongs, hey I'm here for it. Alright Now....Billy Ray Said That He Got Time Today & Didn't Come To Play!! Whypipo are still mad at Beyonce performing at the CMAs a few years back. They definitely aren't gonna just let a lil Black boy shine. Hats off to Lil Nas X. Get'er done!! Ive heard both! Love them both. 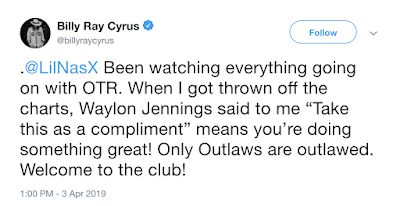 Different tastes, but I like that he incorporated Bill Ray Cyrus.